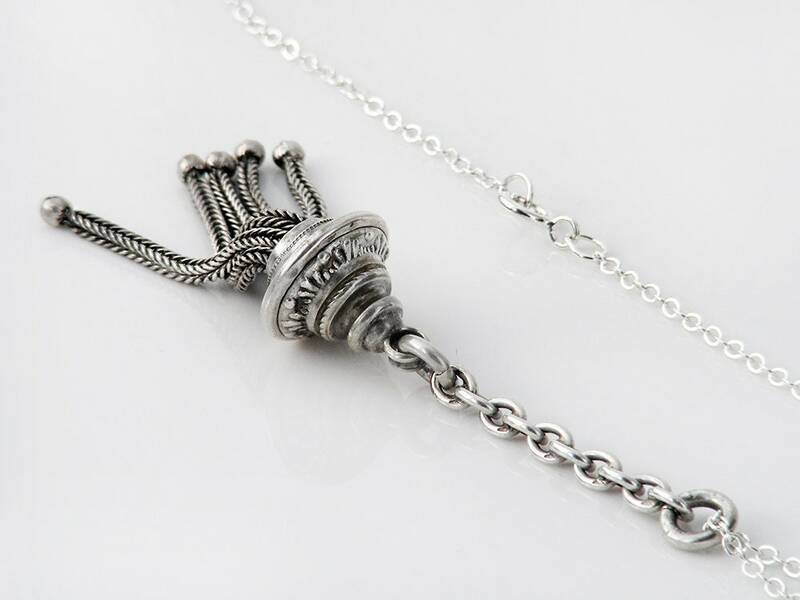 A fine and alluring Victorian sterling silver fob chain tassel with an Etruscan Revival silver cap suspended from a length of original fob chain. 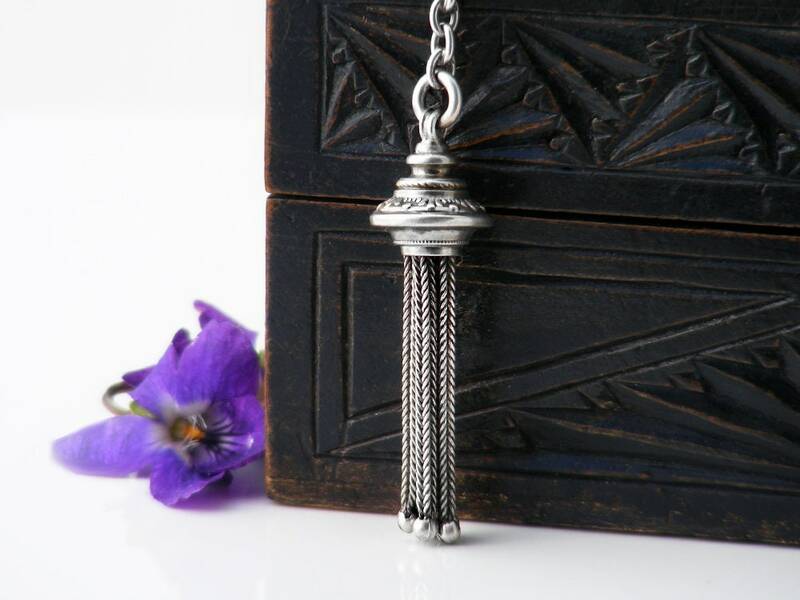 The tassel of five foxtail chain braids is silky and pliable to the touch and each is capped with a ball of sterling silver. 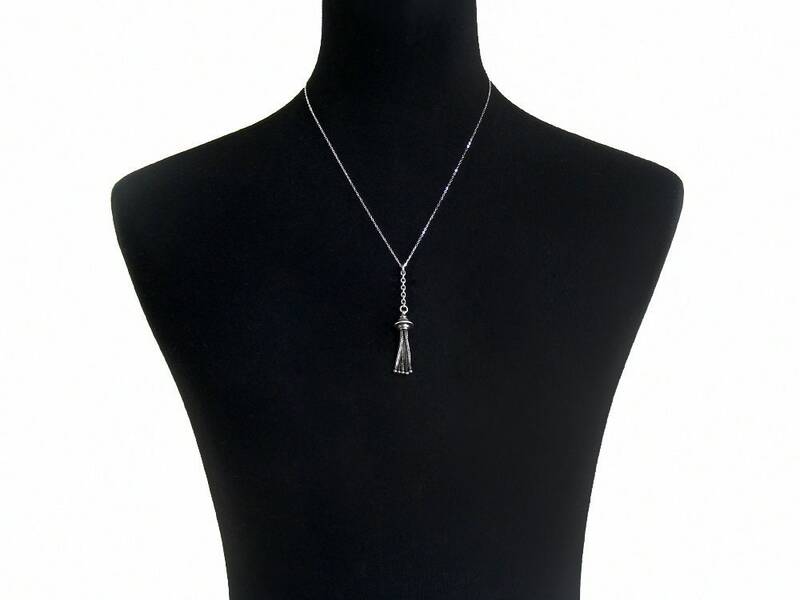 There are no stamps on the tassel (not unusual for the era) it has been carefully touchstone tested and are guaranteed as sterling silver. Each link of the drop chain is punched for sterling. 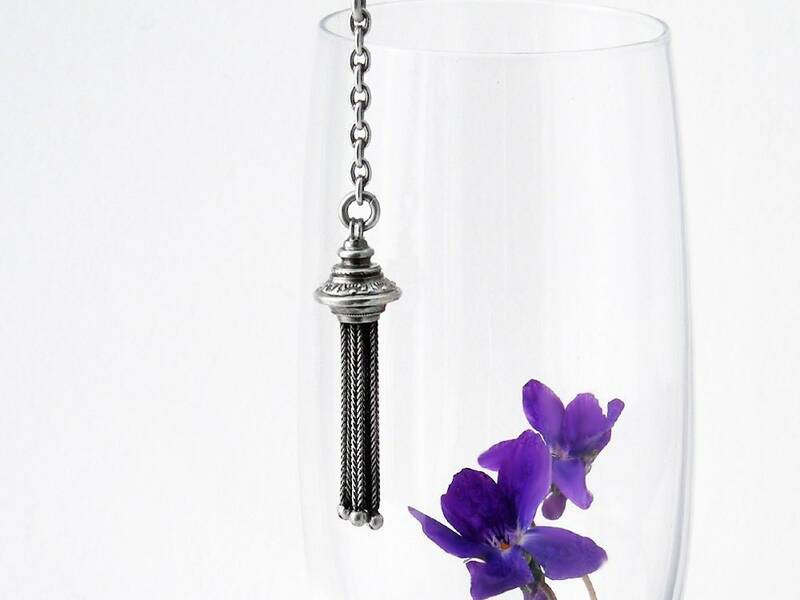 Sizes: overall length (neck chain to tassel ends) is 2.5 inches or 65mm. The widest part of the tassel cap measures 11mm or .43 inches across. 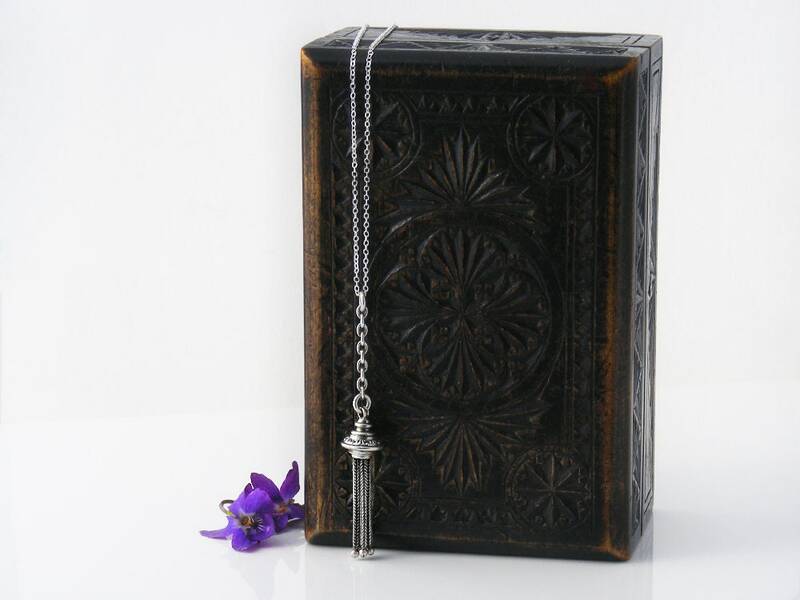 The Chain: Presented on a new sterling silver chain, 50cm or slightly under 20 inches long. The tassel and chain are shown on a life size torso in photograph 2. Tassel condition: Very, very good. No fraying to the 7 foxtail chains, all silver caps are in place. Gorgeous patina to the silver throughout. I am always fascinated by the remarkable workmanship of these beautiful silky Victorian tassels. 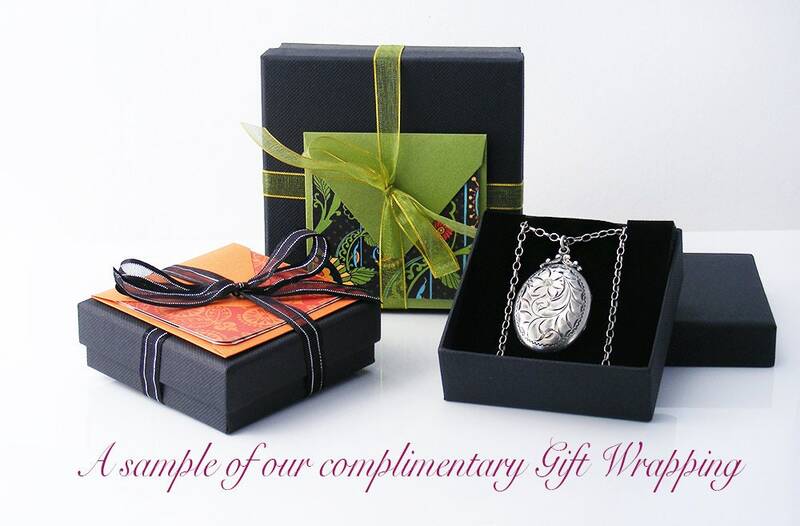 This rescued piece makes a unique and lovely pendant.